It was a tremendous moral victory for the Brooklyn Nets to qualify for the playoffs this season after having not made it for a few years. However, with the Philadelphia 76ers as their first-round opponent, the expectations fans had for them had to be low. But after Game One, it appears that fans may need to reevaluate what the future holds for the Nets. Brooklyn got off to a strong start against the heavily favored 76ers and didn’t look back. But they needed someone to step up and be the focal point of the offense, and D’Angelo Russell was more than happy to comply. In just 29 minutes of game time, he led the Nets with 26 points. Brooklyn went on to upset the 76ers on their home court for a 111-102 win in Game One. Brooklyn’s offense seemed to work well from the start as the Nets got out to a nine-point lead after the first quarter, 31-22. They were able to keep their offense flowing in the second, but the 76ers were able to get their offense moving as well, but not enough to close the gap. At the half, the Nets led by eight, 62-54. In the third, it was much of the same but with the Nets edging the 76ers out in the quarter and extending their lead out to 11 points, 93-82. The 76ers never really posed a threat in the fourth quarter, either. Brooklyn led by double digits for most of the quarter before settling for a nine-point win. Simmons, the reigning Rookie of the Year, did not have a strong outing. He finished the day with just nine points, seven rebounds, and three assists. He was 4-9 from the field and 1-5 from the free throw line. Jimmy Butler was the lone bright spot for the 76ers. He led the team with 36 points and nine rebounds. There was talk that Joel Embiid may sit out Game One to rest his knee, but he ended up playing. While Embiid did record a double-double with 22 points and 11 rebounds, he struggled to find his shot (5-15 from the floor; 0-5 from three-point range). The 76ers will have Sunday to regroup before having to face the Nets again in Game Two of their best of seven series. They play Monday night in Philadelphia. 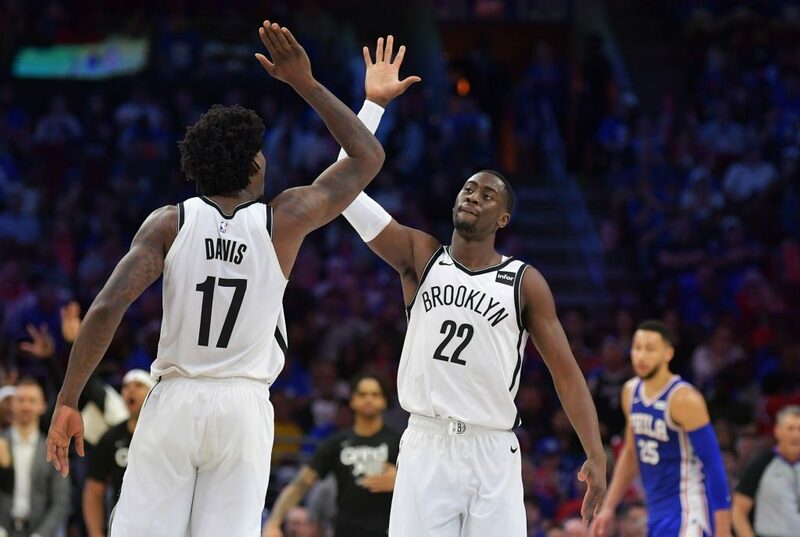 Despite the poor showing, oddsmakers have decided the 76ers should remain a heavy favorite against the Nets (point spread: 76ers by 7.5; money line: Nets— +300, 76ers -400). The over/under is set at 225.5 points.